MANKATO, Minn. — Adley Nyakora, 18, bends over the body of a bloated man in polka-dot boxers, examining a bucket lodged in the patient’s knee. He picks up a medical instrument and slowly lowers it, his brow furrowed in concentration. His friends, who hover over him, hold their breath. 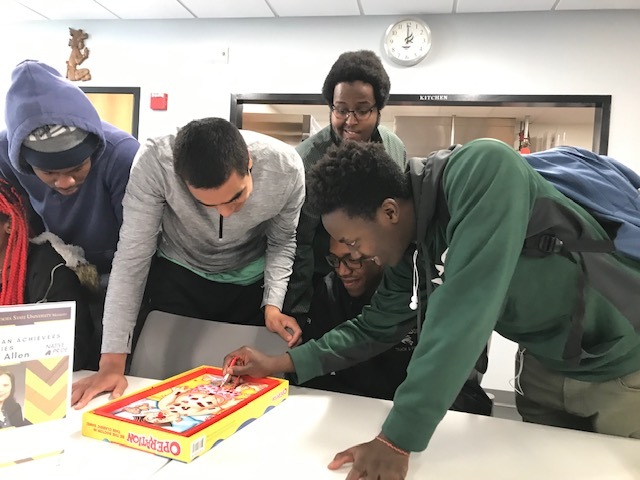 The program’s larger goal is much more ambitious: eliminating the nearly 30 percentage point graduation gap, on average, between white students and black and Latino students at this campus of 13,000 undergraduates, 85 miles southwest of the Twin Cities. Minnesota ranks among the most educated states in the country, with nearly half of adults aged 25 to 64 holding an associate degree or higher. But that impressive statistic masks severe racial disparities in degree completion: The state has the second largest attainment gap between whites and blacks in the nation, according to the Education Trust. With people of color expected to make up a quarter of the state’s population by 2035, these gaps represent an economic threat to Minnesota; unless more residents get to and through college, there won’t be enough qualified workers to fill the jobs that require a post-secondary degree or certificate. 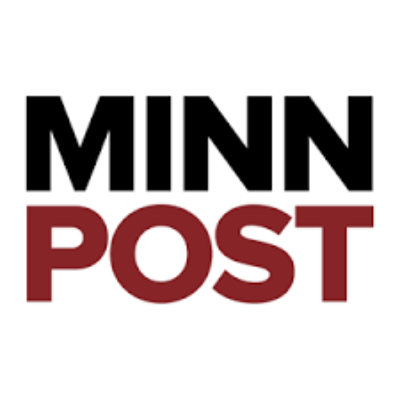 There are currently more than 140,000 job vacancies in the state, an increase of 16 percent over a year ago, according to a spokesperson for the Minnesota Department of Employment and Economic Development. He estimated that nearly one in three new jobs created through 2026 will require education beyond high school. Recognizing these trends, state policymakers set a goal almost four years ago of increasing the proportion of 25- to 44-year-olds, of all races, with at least a postsecondary certificate to 70 percent by 2025. The most recent statistics show the figure has climbed slowly to 61 percent. To reach the state’s target, another 131,400 Minnesotans — two-thirds of them people of color—must earn a post-secondary credential. With just 6 years remaining to reach the goal, the state’s public colleges are taking a closer look at their longstanding achievement gaps and experimenting with new ways of closing them. 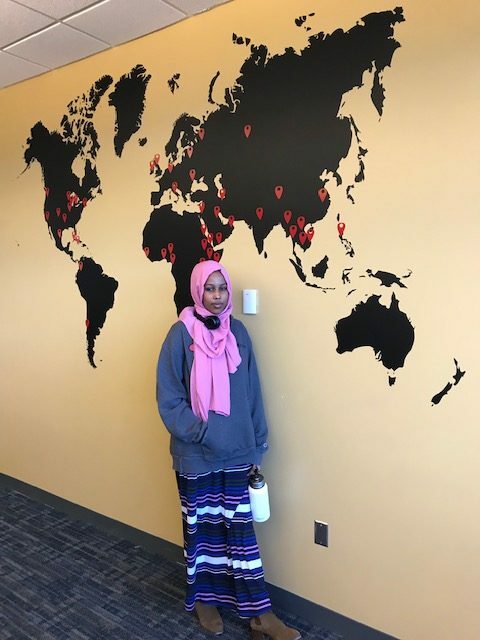 Some, like Mankato, have started programs that seek to ease the transition into college, creating a sense of community and belonging among students who may not feel welcome there. So far, there’s not a lot of evidence that these efforts are narrowing the completion gap. Though some programs have helped lower dropout rates and improved graduation rates for students of color, the gap in the percentage of students finishing a degree has barely budged across the 30 community colleges in the Minnesota State Colleges and University system. At the system’s seven four-year universities, it’s actually gotten wider. Five universities and 18 colleges now have gaps in their graduation rates of more than 10 percentage points between white students and other students. Ron Anderson, the system’s senior vice chancellor for academic and student affairs, acknowledges that the state’s public colleges haven’t kept pace with their diversifying student demographic. 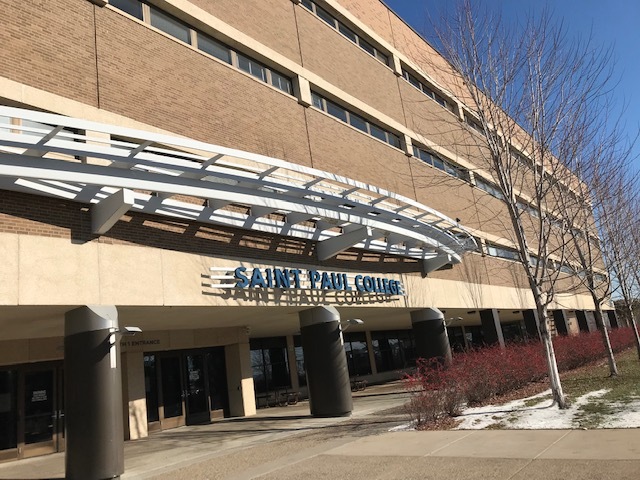 At Saint Paul College, the most racially diverse institution in the Minnesota State system, Jacqulyn Zimski, a campus “navigator” is helping Zephaniah Ontere, a 59-year-old Kenyan immigrant, plan his next semester. Ontere, who is participating in a program that offers free tuition, mentoring and advising to low-income students, says he’s finding his business classes stressful, and is considering switching majors. He’s also having car trouble and struggles getting to class. Zimski helps Ontere apply for emergency aid to pay for car repairs, and urges him to visit career services to explore his interests. Before Ontere leaves, she schedules a follow-up meeting and hands him a meal voucher. Zimski, one of two advisors to more than 400 low-income students here, spends a lot of her day in conversations like this one. Her job is part academic advisor, part counselor, helping students chart a path through college and coaching them through crises that threaten to derail those plans. At the Minnesota State System’s two-year colleges, the average family income of students of color is half that of white students — $32,000 vs. $64,000. At the state universities, there’s a $50,000 gap. “A lot of them are so busy that it’s hard for them to problem-solve,” said Andrea Morgan, the second of the two navigators. More than 60 percent of St. Paul’s 13,000 students are people of color, and half are the first in their families to attend college. Rassoul Dastmozd, president of the college, said his institution has a “moral obligation” to serve such students well. St. Paul was one of three state colleges to receive a state “equity in education” grant in 2017. It is using the money — roughly $164,000 — to provide more intensive advising to students of color in remedial education courses. The college has also taken steps to increase employee diversity. In 2011, fewer than 16 percent of employees were people of color. Today, 27 percent are, Dastmozd said. But St. Paul is outperforming many of its peers in the community college system. This year, the college received a $1 million bonus from the state for improving its student persistence and completion rates. That money was part of more than $4 million that Minnesota State allocated in performance-based funding in 2019 to colleges that exceeded their expected outcomes for all students, and for students of color, in particular. College dropouts cost Minnesota millions of dollars in wasted subsidies and lost revenue each year. According to the American Institutes of Research, Minnesota spent $130 million between 2003 and 2008 just on educating students who dropped out in their first year. Most of those who drop out will earn less over their lifetimes than college graduates, costing the state millions in income taxes. The AIR found that the state lost $188 million in potential revenues from just one cohort of students who failed to complete a bachelor’s degree. The stubborn achievement gap between white students and students of color is at least partly due to systemic inequities. Compared to their white peers, students of color are more likely to attend low-performing public primary and secondary schools with inexperienced teachers and high leadership turnover. A weak academic foundation can limit college options for students of color. Nearly two-thirds of those who attend public colleges end up in overcrowded and underfunded community colleges or open-access public colleges, where funding is lower and outcomes far worse than at selective public campuses. Indeed, a recent report by Georgetown University’s Center on Education and the Workforce found that public higher education is splintering into two “separate and unequal systems,” with whites overrepresented at selective public colleges, and people of color underrepresented. 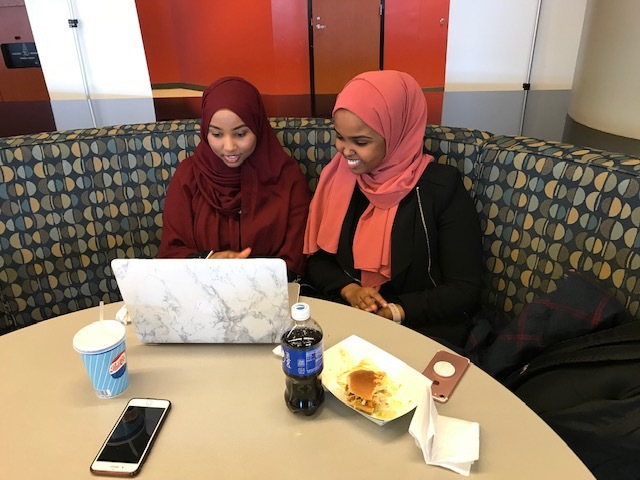 For example, while students of color make up 14 percent of Minnesota high school grads, they account for only 7 percent of freshmen at the flagship University of Minnesota Twin Cities campus, according to a report by the nonpartisan Institute for Higher Education Policy. Students of color are also disproportionately low-income and are more likely to be the first in their families to seek higher education, characteristics that make them more likely to drop out. At Minnesota State’s two-year colleges, the average family income of students of color is half that of white students — $32,000 vs. $64,000. At the state universities, there’s a $50,000 gap. These disparities in wealth and preparedness are not the colleges’ fault. But there are things they can do to get students caught up more quickly, and more cheaply. One is rethinking remedial — or “developmental” — education, the black hole of higher ed. Nearly a quarter of Minnesota’s public high school grads, nearly all of them at Minnesota State colleges, enroll in one or more developmental courses within two years of graduating. The rates are even higher for students of color: Nearly half of black and 40 percent of Latino students take a remedial class. Developmental courses include remedial instruction and courses designed to help students with college-level work. Many students who start in developmental classes never make it to credit-bearing courses, much less to graduation. Bored or frustrated, they drop out after a couple of semesters. At Century College, in White Bear Lake, administrators used to say a low score on the placement exam was destiny. “If students placed really low, the chance of them getting a degree was slim to none,” said Andrew Nesset, the community college’s dean of arts and sciences. A few years ago, the college began letting students take developmental English at the same time as Composition I, rather than spreading the courses over two semesters. Then, in 2017, it began experimenting with a new way of assessing students’ readiness for college-level math, taking into account not just their placement test scores, but also recent grades. The result: fewer students stuck in remedial math, more students taking college-level math, and higher success rates in entry-level English. Between 2012 and 2015, more than two thirds of students in the accelerated developmental education model passed their college composition classes, compared to fewer than half in the traditional sequence. The college also “embeds” peer tutors in gateway courses, so busy commuter students don’t have to visit a support center outside class hours. Many of the tutors are students of color themselves, a fact professors say makes them relatable — and perhaps more approachable — than white instructors. Back at Mankato, a couple dozen students in the stress-management workshop are coloring and decorating sugar cookies, while, down the hall, a group of faculty and staff are learning about “microaggressions,” the everyday slights and snubs suffered by members of marginalized groups. State policymakers set a goal three years ago of increasing to 70 percent the proportion of its 25- to 44-year-olds, of all races, with at least a postsecondary certificate … to reach that target, the state needs another 131,400 Minnesotans — two-thirds of them people of color — to earn a first credential by 2025. Joel Jensen, associate director of campus security, said he recently overheard a colleague asking a Native American man what he was going to eat for Thanksgiving. The man responded, “Why would I be celebrating our mass extinction?” Jensen recalled. The next table over, a professor confessed that she once mixed up the names of two Asian American students. “It kind of haunts me,” she admitted. Rolan and several other students of color said they believe their college cares about their success and is trying to tackle institutional racism. They praised college leaders for creating a mentoring program for students of color, and for being open to their suggestions for improvements. System leaders don’t dispute that assessment. In an interview, Anderson, the system’s vice chancellor, said leaders there are studying institutions that have seen sustained gains to identify which combination of changes works best. “This is not about putting in place one or two key interventions,” he said. Still, Anderson said he’s encouraged by recent increases in course completion rates among students of color, describing the gains as a “leading indicator” of a shrinking achievement gap. Since 2009, he said, the gap in entry-level math completion between white students and students of color has narrowed from 14 to 11 percentage points, while the gap in completion of college-level writing courses has shrunk from 8 to 3 percentage points. But no one, Anderson included, expects the gap to close entirely anytime soon. “What we’ve seen over time is that movement in these gaps is incredibly stubborn and slow to change,” he said. This story about inequality in higher education was produced by The Hechinger Report, a nonprofit, independent news organization focused on inequality and innovation in education. Sign up here for our higher-education newsletter.